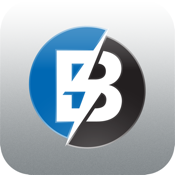 Bluebonnet Electric Cooperative’s free mobile app gives residential and commercial users fast, simple access to their accounts, allows them to securely pay their bill, and provides a number of other valuable tools to help them monitor and manage their energy use and costs. Members can track current and previous electric use and costs on our Energy Tracker, by the year, monthly billing period or even down to the hour. They can compare their usage to the temperature at that time. A member can even see the carbon impact of their power use. They can report outages, receive energy or outage alerts and access other important, helpful tools on their smartphones and mobile devices. With the app, a Bluebonnet member can see their current billing details, their billing and payment history, update their contact information, choose to switch to paperless billing, or manage payment methods and login information. It’s part of Bluebonnet’s pledge to continually seek new ways to provide safe power and effective, efficient member services.